The Climate Resilient Edmonton: Adaptation Strategy and Action Plan was presented to the Executive Committee of City Council in November 2018. It was developed to help us respond to the impacts of climate change and protect the community, infrastructure and services. Working with the advice of Edmontonians the strategy will suggest actions to make Edmonton more resilient to the effects of climate change. 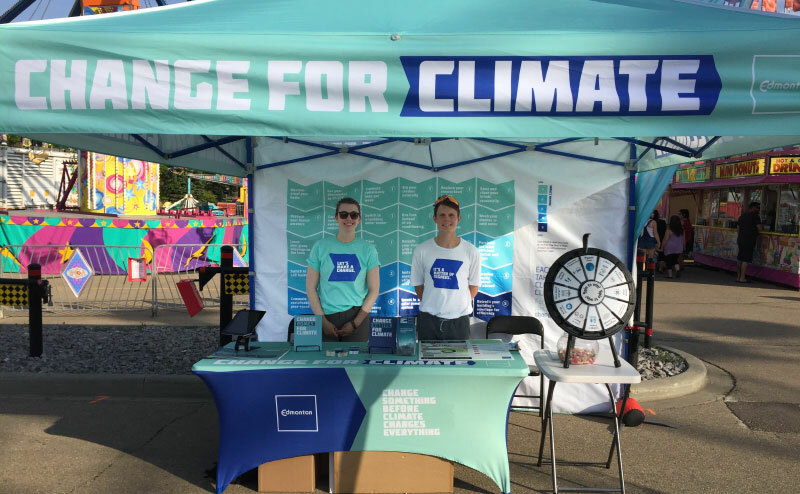 Investigation – Developing an understanding of how Edmonton's climate is changing, as well as the risks and opportunities these changes present for the community. Setting Direction - Developing a Community Climate Change Adaptation and Resilience strategy, action plan and supporting policy to address priority risks and opportunities. Taking Action – Implementing actions within the strategy and action plan. Learn more about climate change, energy and our strategies for adaptation and resilience. Get tips on how to take action against climate change and reduce our impact on the environment.